Popping in quickly to share a card I made for this week's PTI Transformation Tuesday challenge. I decided to lighten up the overall color scheme of this card I recently made with Brushed Birds. 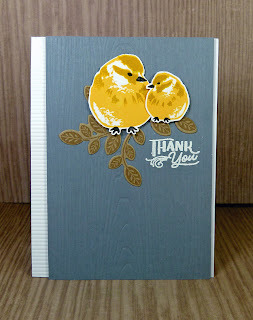 I used darker yellows for the birds, but a white card base in my transformed card. I also opted for stamped leaves rather than die cut leaves. A pair of pretty cards Joyce! Love the way you lightened up the new version! Your pair of cards are so pretty! 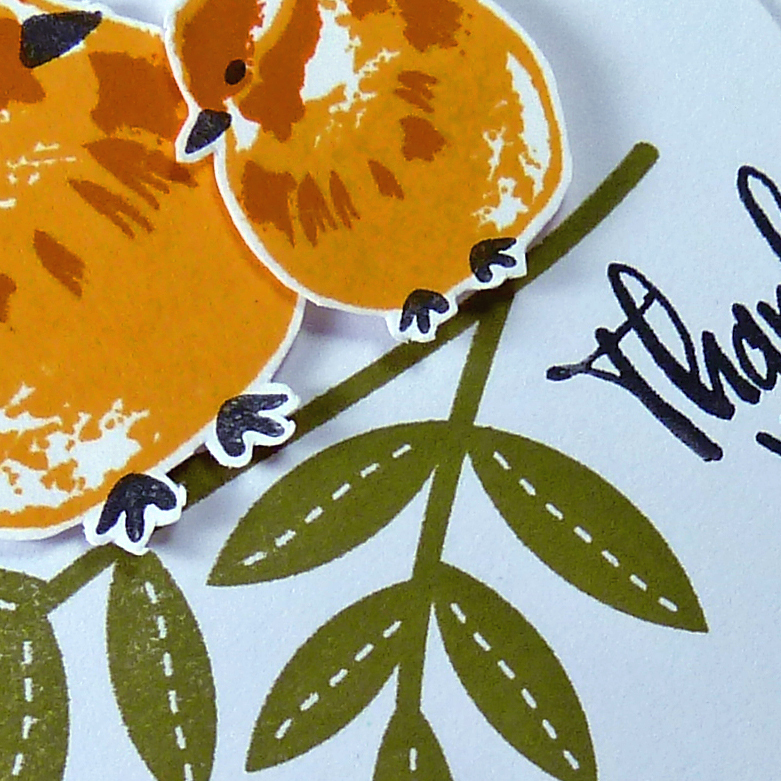 I like both color combinations and those birds really are tops! 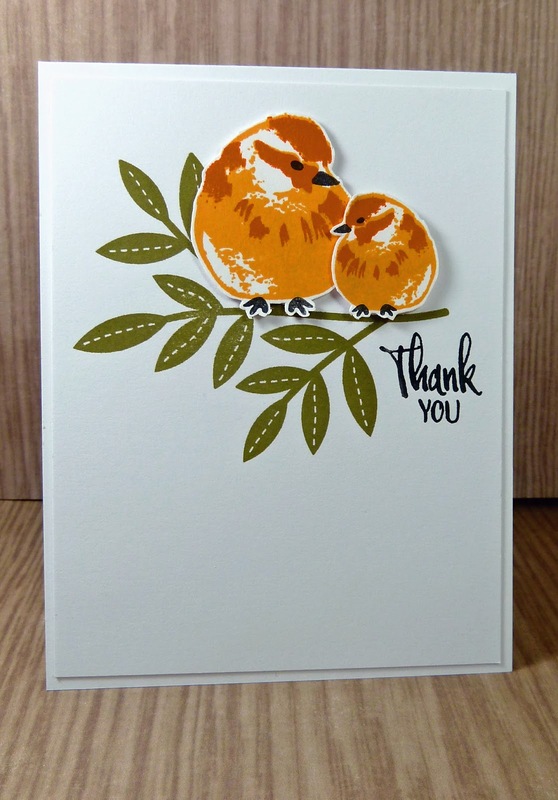 With my hubby traveling all over the world to view birds, I've collected a few bird sets and this is my favorite. Love your sweet brushed birds....this was so much fun to make together! Thank you so much for all the incredible inspiration!